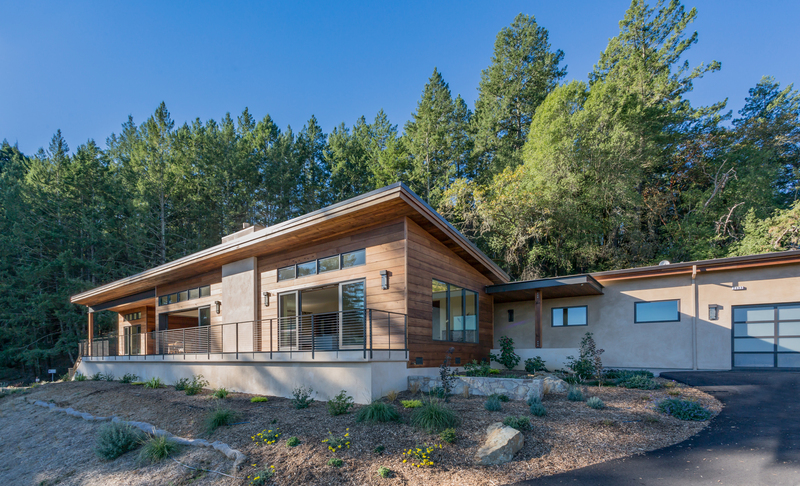 This project was for a couple with an extensive relationship to the timber of the forest. 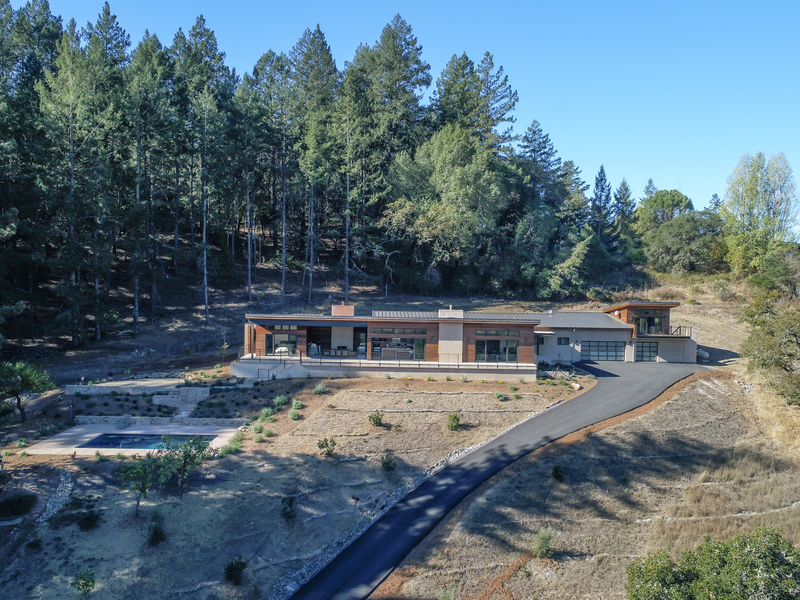 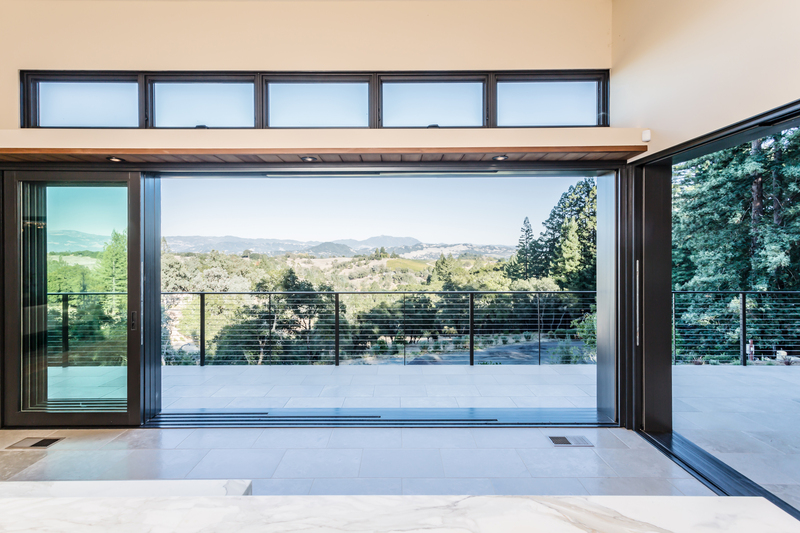 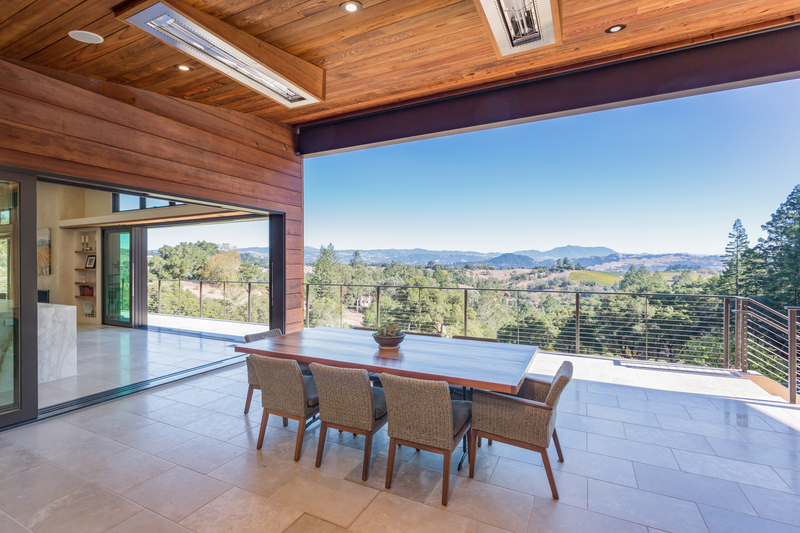 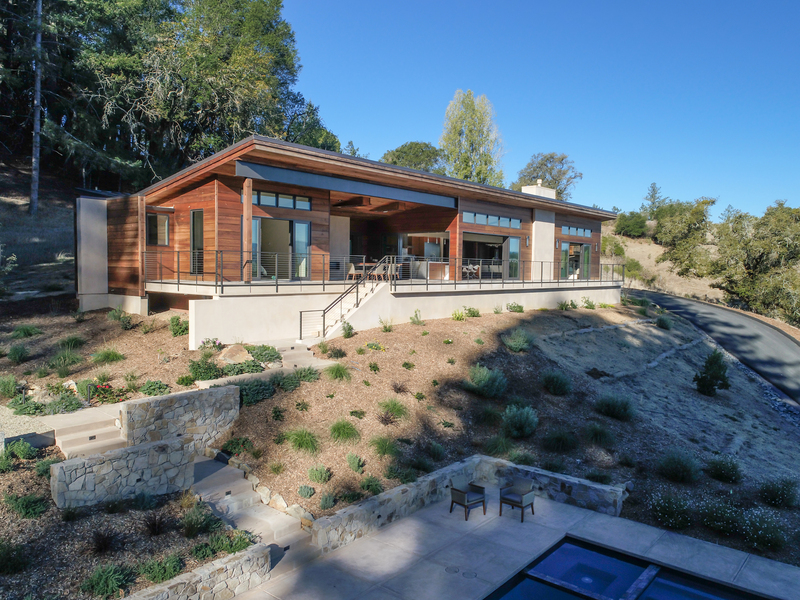 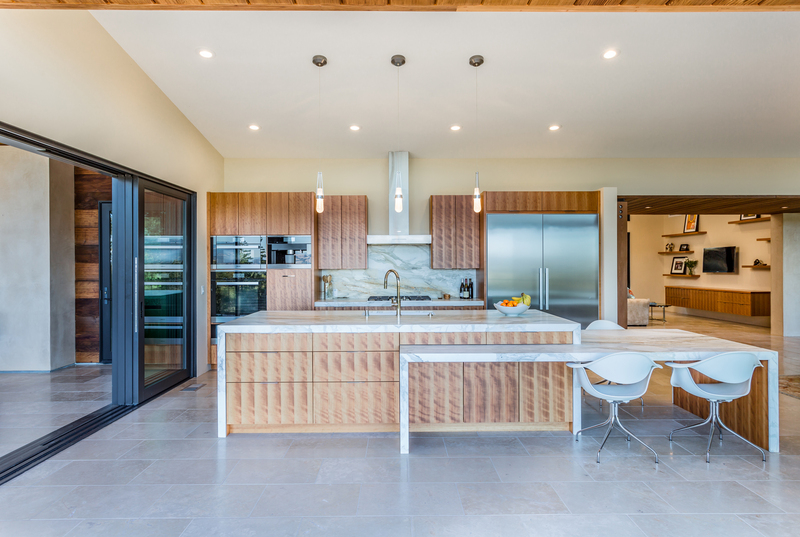 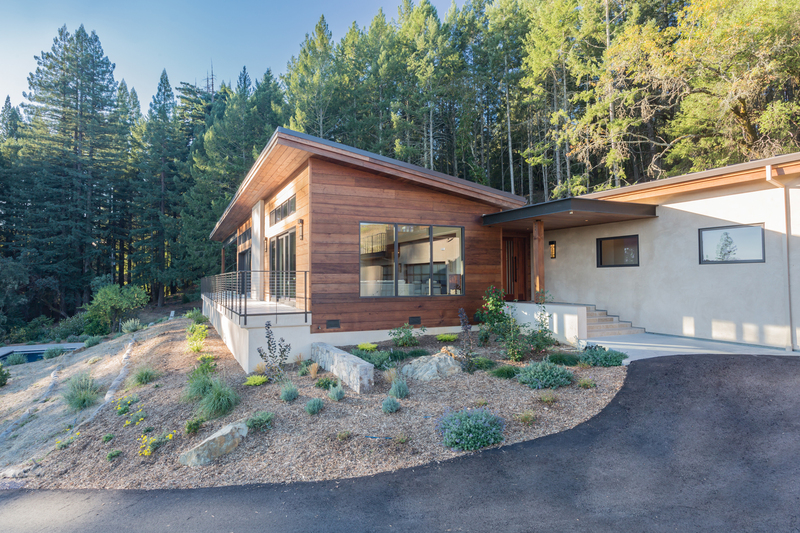 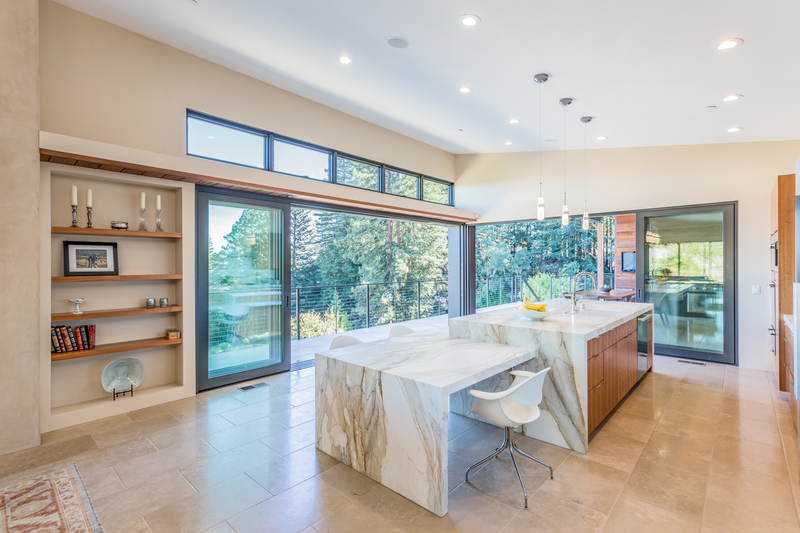 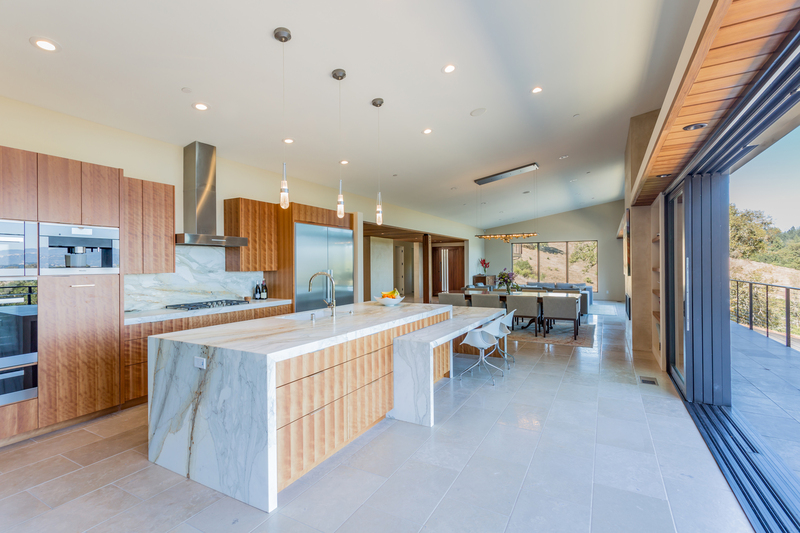 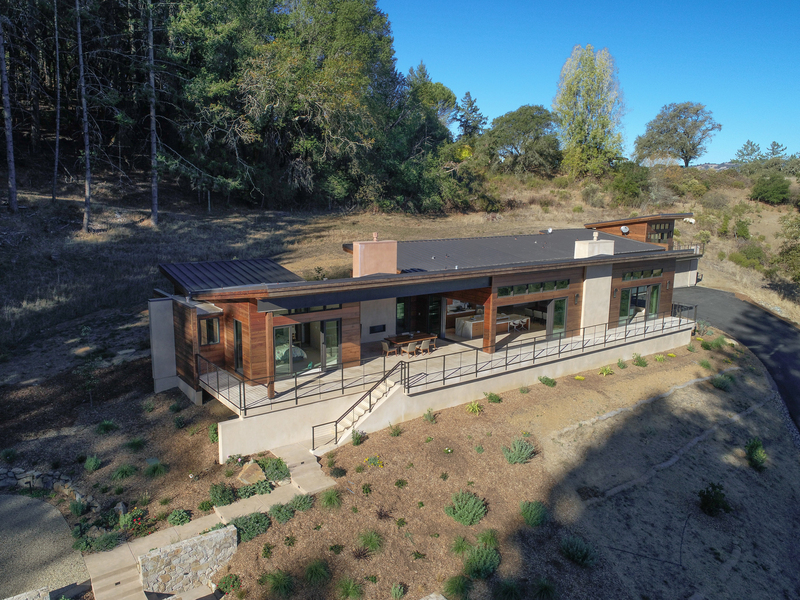 The house was designed to incorporate the stunning surrounding views into their everyday life, and to take advantage of some fallen redwood trees that they had saved for several years – with the hopes of honoring the trees in the Architecture of their home. 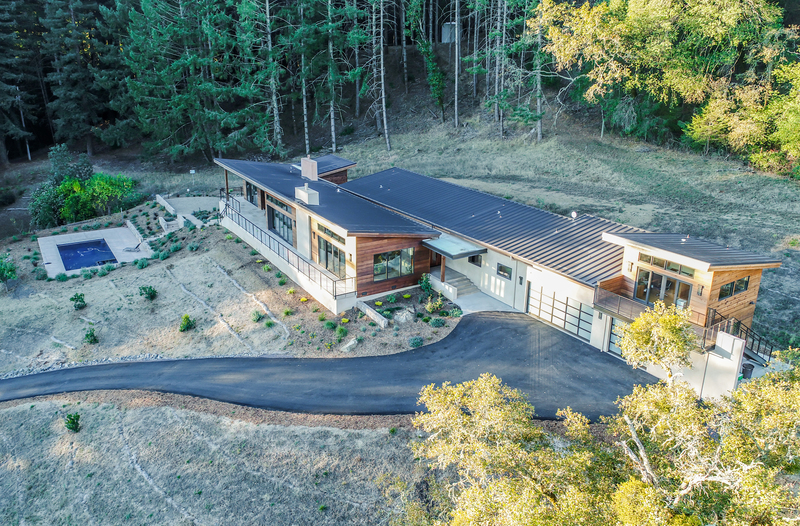 We responded to the view challenge by stretching the house along the contours of the hillside – with the main living spaces oriented towards the view. 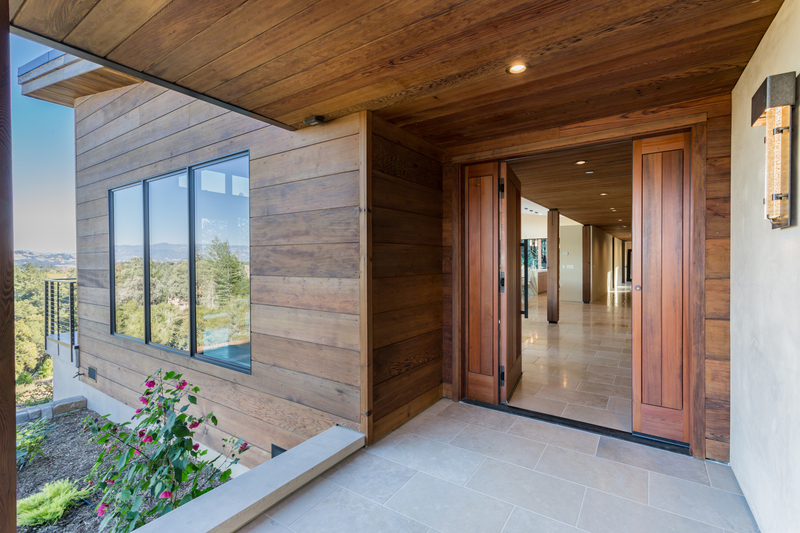 We used a thick wall as an organizing spine upon which the roofs and rooms were arranged. 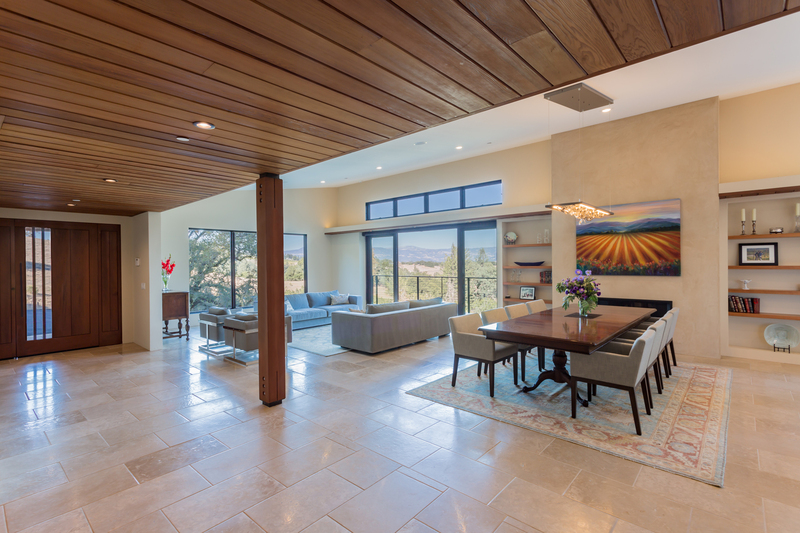 We carved out some outdoor space under the roof to extend the living area and blur the boundaries between indoors and outdoors. 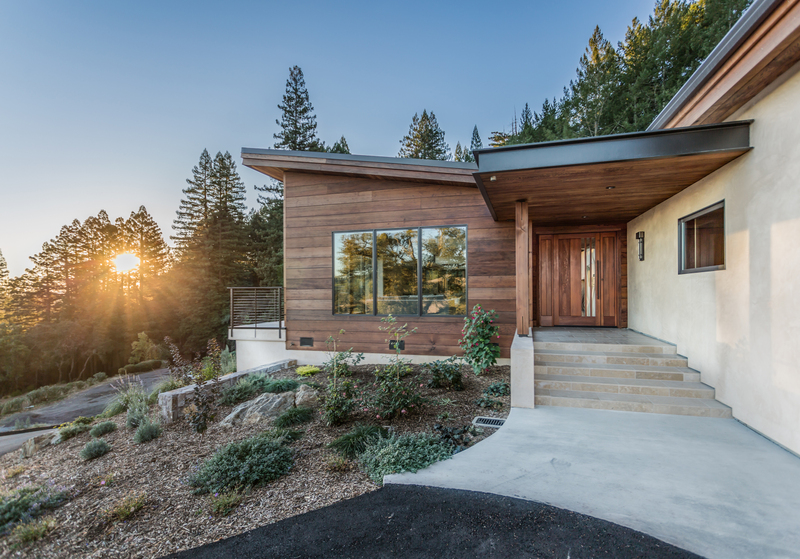 We honored the fallen redwood trees by both using them as an exterior siding (with a large scale shiplap mill profile), specific interior ceiling applications, and for select structural elements. 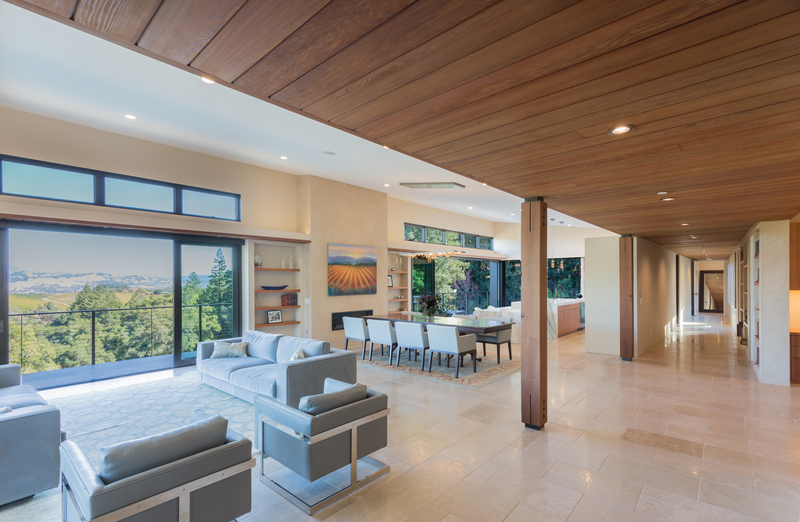 These structural columns were sized to celebrate the strength of those great trees.